The 14th annual advoKate Charity Run/Walk is a fun, family-oriented charity event for individuals of all fitness levels with a 10k run, 5k run, 5k walk, and 1mile run/walk. Running races are professionally chip-timed. 5k and 10k events cover a mixed-surface course which includes portions of the beautiful Paint Creek Trail. Bring the family and enjoy the post-run party in the park with children’s activities, entertainers, music, raffle prizes and more! 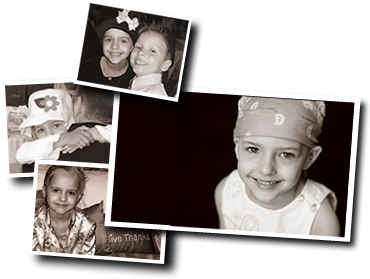 AdvoKate is a volunteer organization established in honor of 6 yr old Kate Hrischuk of Rochester, MI who lost her life to an intrinsic brain stem glioma in early 2007. AdvoKate supports the fight against childhood brain tumors at St. Jude Children's Research Hospital in Memphis, TN, one of the nation's most trusted charities. With the help of event participants, sponsors and volunteers, AdvoKate has, so far, raised more than $250k for St. Jude where Kate and her family received priceless care and support. The AdvoKate name was attributed to Kate's cause in 2006 by the Avondale High School Leadership group.